Time is a rental fleet manager’s best friend and worst enemy. Finding ways to maximize uptime for rental equipment is a large concern for rental managers, and repowering equipment with reman engines allows for significantly better uptime. They get your fleet upgraded and back into service faster than other repower options. With a brand new engine, the engineering, installation and testing process can take months. A new engine takes extra engineering time to properly integrate into a piece of veteran equipment. A completely new engine may include diesel exhaust fluid, fluid lines and mounting components, each of which must be configured during integration. 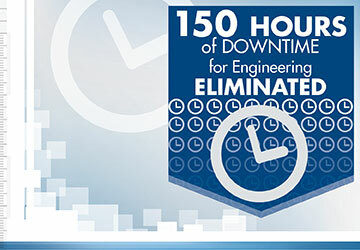 Electrical components, ECU/ECM and a high level of technical interfaces with electronics programming and testing increases engineering time and that can add up 150 additional hours on engineering alone. That means there is far more downtime involved, and every day your equipment is down has an impact on your business. Repowering with a reman engine is relatively simple and fast: reman engines are ideal for repowers since they are essentially an updated version of the equipment’s existing engine. Minimal engineering is required, meaning integration is smoother and your equipment can be in service sooner. Perkins Pacific has a large inventory of reman engines that can also help lower downtime in your fleet – stock engines can be shipped immediately and non-stock reman engines typically ship within 72 hours.